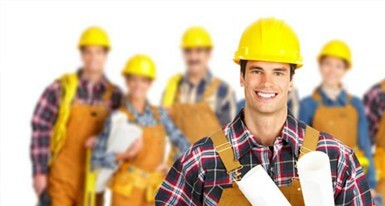 Do you know your responsibilities and rights with respect to workman’s compensation insurance? Protect your business and your employees. Farmer Brown is an insurance broker that specializes in workers compensation insurance. With a history of providing comprehensive coverage for business we, have the ability to craft a unique policy that covers all your insurance needs. We offer workman’s compensation insurance coverage tailored to your size and scope whether a small local business or a large multi-state business so you can concentrate on meeting the needs of your customers. Having a productive and profitable business is demanding. You need the best equipment, the best personnel and the best workers. Having the right kind of workers compensation policy means personal care for injured workers, increased productivity, higher employee morale, lower turnover, reduced claims costs and the elimination of financial worry. At Farmer Brown, we specialize in workers compensation. It’s what we do best. Everything about your company’s operation is unique, and so are your needs when it comes to workers compensation coverage. We work closely with you to design the right program to fit your needs. The professionals at Farmer Brown can help you to navigate the insurance maze as your coverage becomes more complex. Put our experienced team to work to help you identify your exposures and how to best address them. By selecting the best policies from the nations top insurance carriers FarmerBrown.com is able to deliver coverage that represents the greatest value for you. You can obtain an online quote, or call (888) 973-0016 today to find out more about the extensive insurance programs offered by Farmer Brown to reduce premium cost and risk. Let the Farmer Brown team make obtaining insurance coverage trouble-free.